Econram Systems carries a full line of current ORACLE SUN Hardware as well as discontinued EOL hardware, all of which include our Shield+Tech warranty & support. Please call us at toll free 877-500-3266 & speak with a Oracle Sales Rep regarding the RSF-XCPUBD-4049 or REQUEST A QUOTE. We carry a wide range of Factory Sealed, Used and Refurbished ORACLE SUN Equipment & Spare Parts . 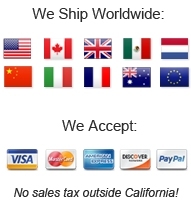 We offer competitive discounted pricing and daily worldwide shipping on the SUN RSF-XCPUBD-4049you buy from us. Econram is a trusted SUN Reseller of the Highest Quality Computer Hardware, like the RSF-XCPUBD-4049, to the U.S. Government, Military, Universities & Fortune 500 Enterprises. Econram adheres to Strict Quality Control, Anti-Counterfeit Inspection & Military Standards (MIL-STD). Econram offers SUN RSF-XCPUBD-4049 Warranty, Maintenance and Hardware Support!